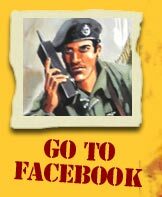 Action Man HQ is the official UK history website for the vintage Action Man and Hasbro Action Man! An in depth tribute to the original Action Man of 1966 - 1984 - the Palitoy years. Lots of pictures ian information on Action Man figures, uniforms, accessories, vehicle and pages and brief history. 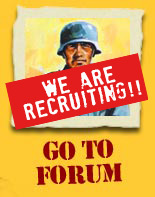 If you are looking for answers why not join the Action Man Forum and get hundreds of years of collective experience from friendly collectors?! 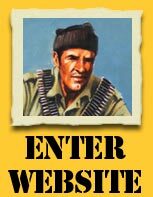 If you had a vintage Action Man as a child, then you should get a big hit of nostalgia from this website. If you want to use images from this website for a non-commercial reason please contact Rob Wisdom on the contacts page. It is strictly forbidden to use any image to produce goods for resale. All images © Action Man HQ 2017. Original illustrations on this home page by Dave Barnacle. By entering this site you are agreeing to be bound by the terms of this agreement. All photographs and text appearing in the Action Man HQ (AMHQ) site(s) are the exclusive property of AMHQ (except where stated otherwise) and are protected under international copyright treaties. They are made available for your personal viewing enjoyment only. No images are within the Public Domain. The photographs may not be copied, reproduced, redistributed, manipulated, projected, used or altered in any way without the prior express written permission of AMHQ and payment of a fee or arrangement thereof. Permission is explicitly denied for any republication of text or photographs in this site without the prior express written consent of the author, UAMHQ. This includes publishing in print and on the internet for commercial or non-commercial purposes. Permission to link to this site from your web page is freely given. Direct linking to images is allowed with a credit given to its source. This website uses Google Analytics to help Analyse how users use the site. The tool uses ‘cookies’, which are text files placed on your computer, to collect standard Internet log information and visitor behaviour information in an anonymous form. The information generated by the cookie about your use of the website (including IP address) is transmitted to Google. This information is then used to evaluate visitors' use of the website and to compile statistical reports on website activity for Action Man HQ. You may choose to accept or decline cookies. Most Web browsers automatically default to accept them, but you can usually modify your browser settings to decline cookies. You can also opt out of Google Analytics without affecting how you visit our site – for more information on opting out of being tracked by Google Analytics across all websites you use, visit this Google page. You consent to our cookies if you continue to use our website.